Chelsea are apparently interested in bringing French World cup winner Nabil Fekir to Stamford bridge this summer. According to reports from France Chelsea have begun negotiations with Lyon for the transfer of the player. The transfer talks are expected to begin today over a possible £55 million deal for the 25-year-old midfielder. Liverpool had been close to completing a deal with Fekir but the move fell through at the eleventh hour due to the player failing medicals. The player had admitted his intentions to play for Klopp but Sarri wants the midfielder to complement his options. The reports says that Lyon are willing to sanction a sale for Fekir if the asking price of £55 million is met by the blues. 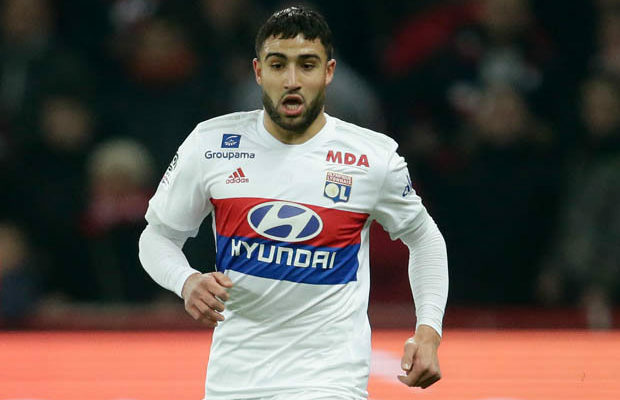 Fekir recently told the club official website of his intention to remain at Lyon and the French club are preparing a new contract for their talisman. Fekir has emerged as one of the hottest midfielders in French football and was an impressive cog in Lyon’s midfield last season. Fekir scored 23 goals in all competitions last season leading the French club to the champions league finishing behind PSG and Monaco in the League. Chelsea have made only a solitary move in the transfer window signing Italian ace Jorginho from Napoli in a £57 million deal.